Around 100 jail inmates have been shifted from one jail to another across the state. 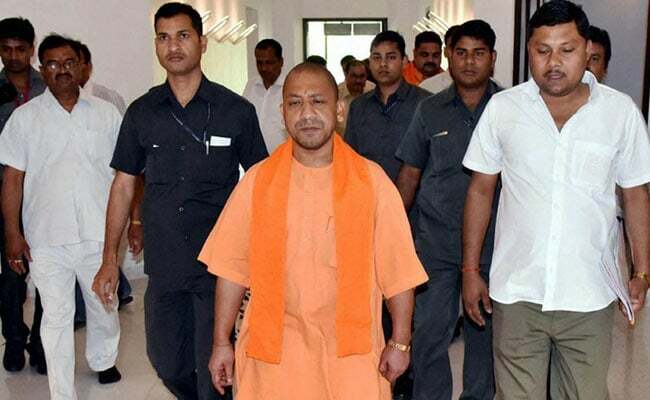 Lucknow: Around 100 'bahubalis' or gangsters have been shifted to prisons far-away from their home districts in Uttar Pradesh in an attempt by the Yogi Adityanath government to smash their local crime network. Prominent among them are Mukhtar Ansari, Munna Bajrangi, Atiq Ahmed, Shekhar Tiwari, Maulana Anwarul Haq, Mukim alias Kala, Udaibhan Singh alias doctor, Titu alias Kiranpal, Rocky alias Kaki and Alam Singh. "Though the dons are behind bars, their gangs let loose a reign of terror - committing murders, kidnapping, dacoity and extortion - with ease," Additional Director General of Police (Prison) GL Meena told PTI here. While around 100 jail inmates have been shifted from one jail to another across the state, those admitted to various mental hospitals in Agra, Varanasi and Bareilly are being verified, and if they are mentally fit to serve the jail term, they will be shifted back to jails, he said. The jail administration on Saturday sent letters to mental asylums in Varanasi, Agra and Bareilly, directing them to send a report about the health status of the undertrials. Till now, 18 such jail inmates, who were admitted to various mental hospitals, have been identified. "The process of issuing arrest warrants to these inmates has started," he said. Mr Meena said the jail administration had prepared the list of the undertrials who are admitted in hospitals across the state. "I have sought a report from the medical officers of the hospitals in which the undertrials, majority of them notorious criminals, are admitted," he said. "Fearing that they will be caught, the doctors have started discharging the undertrials," Meena said. The jail administration often received information that the gang members used to meet in jail and plan incidents of crime from there. During surprise raids, mobile phones and SIM cards were recovered from the cells of criminals. The idea behind shifting inmates from one jail to another is to break the network they develop while staying in a particular jail over a long period. "In order to break the nexus, the inmates are shifted one from one jail to another," the ADG said. In his first law-and-order review meeting held here on March 30, Yogi Adityanath had galvanised police and prison officers into action. Mukhtar Ansari was shifted from Lucknow jail to Banda, Atiq Ahmed from Naini central jail to Deoria, Munna Bajrangi from Jhansi jail to Pilibhit and Shekhar Tiwari from Barabanki to Maharajganj jail. Prime Minister Narendra Modi had said at an election rally in Mau, the home turf of gangster-turned-politician Mukhtar Ansari on February 27, that jails in UP were virtually converted into palaces for criminals where they enjoyed all facilities and luxury. Gulshan Yadav, an accused in the killing of deputy superintendent of police Zia-ul- Haq in Pratapagarh district, was admitted to SRN Hospital, Allahabad. The medical report said he was suffering from backache. Babu Singh Kushwaha, accused in a multi-crore National Rural Health Mission (NRHM) scam, was admitted at the Ram Manohar Lohia Hospital here. During probe, the jail administration found that several undertrials used their influence to get medical certificates stating that they were suffering from some mental disorder, Mr Meena said. The state home department too has directed district magistrates and the superintendents of police to check use of mobiles by the undertrials in jails.